Intermittent Fasting is the new diet trend everyone's trying! A weight management plan that’s easy, effective, and affordable—that’s the dream, isn’t it? There have been countless contenders before, but they were either merely short-lived fads or pricey AF routines. There’s another diet trend taking over nowadays: Intermittent Fasting or IF. The basic rule of IF is pretty simple—you have fixed hours or days when you fast/eat restricted calories and when you eat (or feast). For instance, you can have three meals within eight hours and fast for the rest of the day. According to Harvard Health Publishing, it’s better to combine this time-restricted strategy with other healthy diets and time it right (i.e. in tune with your circadian rhythm—say, a daily feast from 7 a.m. to 3 p.m. followed by a 16-hour fast). It might even help control your insulin levels and lower your blood pressure aside from aiding weight loss. Does it really work? How challenging is it? 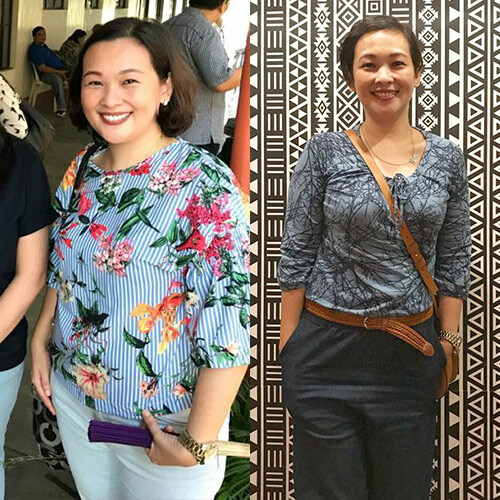 Check out the experiences of these Pinays who’ve been on IF for more than three months. I was getting a lot of comments about my weight from family, friends, and co-workers. It came to a point that even I was disappointed [in myself], and I no longer liked what I saw in the mirror. That was about the same time my sister introduced me to IF. I used to eat breakfast and snack throughout the day because I read somewhere else that it was effective to eat multiple times in a day to lose weight. I also read that skipping breakfast was bad for you. What’s good about it is I lost the weight evenly throughout my body. My waistline dropped two to three inches in a few months. I initially thought it would be a struggle to do since I work a normal 9 a.m.-to-6 p.m. job, but it turned out to be surprisingly simple. The only major change I really needed to make was skipping breakfast and remembering to eat dinner slightly earlier (around 6:30 or 7 p.m.). Coffee is allowed in the mornings, as long as it’s coffee with minimal creamer and no sugar. I also needed to monitor my overall calorie consumption, which I was already doing as part of my routine before starting IF. Overall, I would say IF really helped me maintain the weight loss without much effort. Since I lost the weight, I’ve continued to lose weight even without being as strict as I was with my calorie consumption before. A good friend who was trying to pursue a sustainable wellness journey invited me to join him on his third month of IF. Since I wanted to support him (and I learned how effective IF was for him on his first few months), I became curious about the program and wanted to see what the results would be if I did it myself. I pretty much try to follow a balanced diet with a handful of indulgences here and there. However, I noticed that I don’t really follow a schedule as to until what time I eat. There are times that I eat a full meal quite late into the night and wake up bloated in the morning—something I’m not a fan of since I’m a morning person and the sluggish feeling makes me slower. On IF, I found myself planning what I wanted to eat in the time-restricted feeding period. Due to that limitation, I wanted to make sure that I was eating quality food since I didn’t want my first meal of the day to be disappointing to my palate. I think it also helped that I was doing it with a friend, so I had someone whom I can do progress check-ups with. We encourage each other to stay on the program! The first few days of IF was quite challenging especially since I love snacking. After a week and a lot of self-convincing to stick to the program, I eventually got used to it. I still snack a lot now, I just make sure that it’s well within the eating time period. What I liked most about IF is that I feel like I was really processing (or burning due to exercise) everything that I consumed. And since I only had a few hours to eat, I became more mindful of what I put on my plate, as they say what you eat is what you fuel your body. The transition between deciding to start IF and actually doing it started a bit rough for me as I found myself wanting to snack during the off-hours. However, when I got a hang of my eating schedule, I started appreciating the program because I became more mindful of when and what I was going to eat. Some quick tips: Make sure that you’ve internalized and envisioned yourself doing IF and sticking with the program. Set an alarm as to when the time period is (or almost) up, and plan your meals for the day! 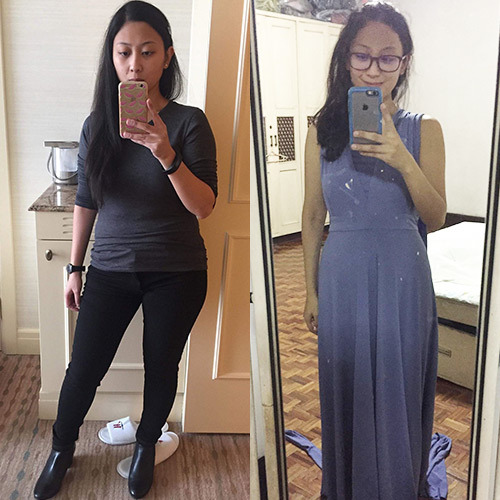 I tried IF because I needed to lose weight for my upcoming wedding and I kept on seeing posts raving about it on Facebook (from science pages and fellow bride-to-bes). I wanted to see if merely shifting my eating pattern and not restricting the food I eat would get me the results I wanted. What’s consistent then and now is that I have a glass of water with apple cider vinegar every morning. Before, I also ate breakfast. On 16:8 IF, I skipped breakfast and concentrated my feasting period to 1:00 to 9:00 p.m., since that’s the time I’m at work and felt I needed to be at my most satiated state to function. I started by eating normally and as much as I pleased within the eight-hour window, but eventually, I adopted another diet, a macronutrients-based diet. I’ve been on it for five months now. It’s based on your prescribed amount of daily carbs, protein, and fat based on your height, weight, age, and level of physical activity. As a result, I’m also constantly punching in calories in MyFitnessPal (an app) and monitoring my progress every morning by weighing myself. The most significant change is that I’ve whittled down my waist, hips, and thighs in a few months. My jeans are now all pretty baggy now, and I don’t feel as self-conscious of my tops hugging my puson all the time. When I started IF, I was 127 pounds, and now I’m at 105 pounds. IF dramatically simplified my day because I had one less meal to prepare, but I felt weak and nauseous on my first week. It’s hard when you have to work, do errands, or socialize outside your feasting window because you’ll be jealous of everyone else eating. My approach was extra hard because with a macros-based diet on top of IF, I cook my own meals and weigh/monitor my food intake. It’s really what boosted my weight loss—with IF alone it was minimal, so you really have to watch how much you eat. I have been on the Keto lifestyle since Sept 2017. I wanted to lose weight then since I felt sluggish most of the time, I even had a hard time breathing and walking. I lost 14 lbs. in the first six months but suddenly hit a plateau even if I was doing Keto strictly. 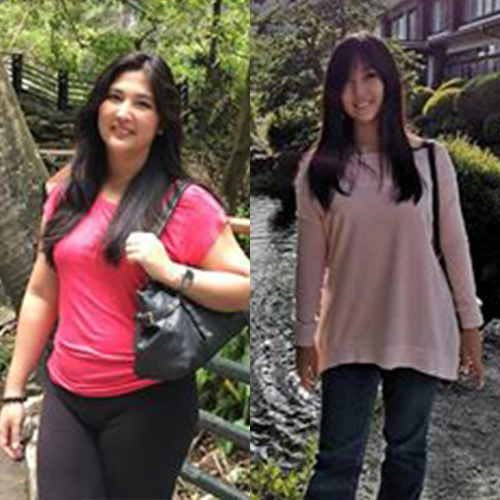 I joined this online group to seek tips on how to lose a couple more pounds since I am far from my goal weight. [Members and doctors alike] suggested to do IF along with the lifestyle. I tried IF last March 2018. The 16:8 scheme was the most manageable option for me—16 hours fasting and 8 hours feeding window. I used to eat breakfast every day since I was taught it was the most important meal of the day. I usually eat with my family. Now, I have lunch as my first meal, usually at noon or 1 p.m. I just drink water or warm water with apple cider vinegar in the morning. I don’t get hungry and still have energy to do my daily tasks. Before, I eat dinner late—9 p.m. or even 10 p.m., usually after watching our favorite TV shows. Now, I make it a conscious effort to cook early and have the last meal not later than 8 p.m. I lost a total of 22 lbs. through Keto with IF. I started at 140 lbs., and I now weigh 118 lbs. Doing IF is hard at first since you are breaking a lifelong routine of eating as soon as you wake up. It is harder to do it consistently when you have events to go to that you have to eat late or early. I think the key is to take baby steps: Start with a longer feeding window and adjust as your body adapts. You may also adjust the fast period and feeding time depending on your schedule. IF has helped me lost weight and boost my metabolism and energy. It also helps me drink plenty of water since it is the only thing I can take in while on fast and it keeps me from snacking unhealthy foods. IF has helped me improve my overall health. I didn’t watch what I ate before. And after I eat, I just lie down when I’m at home or sit down on my desk immediately. I'm also not conscious about the servings of rice I consume every meal. If I like it, I eat a lot. If I don't, I eat only one cup. My new routine is a combination of IF and clean eating. I eat from the time I arrive at the office (7:30 or 8:00 a.m.) until 6:00 p.m. Other than that, I don’t eat rice during weekdays. I only limit my carbs to wheat bread. When it comes to protein, I eat fish most of the time. If not, I can only eat chicken. No beef or pork. I also eat veggies and fruits every meal. When it comes to snacking, I only take crackers or fruits. I have never been on a cheat day ever since the start of my diet (I started during the end of February). When I get hungry after 6:00 p.m., I only drink water or hot green tea. Also, every after meal, I stand up for at least 20 minutes before going back to my desk or lying down on my bed during weekends. IF helped my body get used to eating small portions and on time. I also got contented with small portions, so I do less snacking and have less cravings. My IF experience is rough during the start. I cried a lot because the drastic diet changed my mood a lot. I was lazy when it comes to working out because I couldn't see any changes. I leaned onto my best friend and officemate for support me during those times. They were always there for me by suggesting which food I should eat and those I should avoid. They told me that there were changes in my body and overall look. It was hard to trust them at first because of my insecurities as a woman, but when I saw the changes with my own eyes, [I felt] better. I started to get motivated to go the gym or work out at home. I focused on eating healthy and not drinking alcohol often. 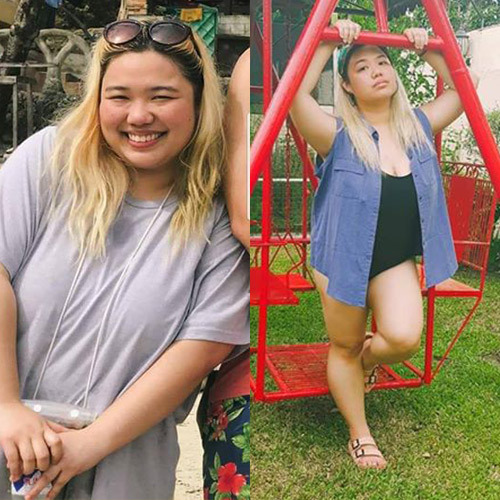 Nahihirapan na kasi ako sa katawan ko, pati sa pang-aasar sa‘kin ng mga friends and relatives being a plus size [woman]. My old routine was more on high-carb foods like rice, bread, sodas or juices, junk food, and fruits. I ate any time of the day—may midnight snacks pa. But since I started doing IF, I ditched those regular meals na nakasanayan ko. Now, I only eat from 12:00 p.m. to 8:00 p.m. with two meals a day (TMAD). Sometimes, I just have one meal a day (OMAD) every 3 p.m. IF changed me and my way of eating a lot. From 80 kg, I’m now at 58kg after doing IF for five months. IF is life-changing. Well, hindi madali sa simula at walang magic. Mahirap lalo na 'pag nakakaramdam ka na ng gutom, tubig lang ang katuwang ko noon. Pero sa sobrang kagustuhan kong pumayat noon, ni-research ko kung paano ako tatagal at nakita ko sa Facebook ang grupong LOW CARB INTERMITTENT FASTING PHILIPPINES (LCIF PH), headed by Sir Dave Aguila. Dito ko natutunan na para tumagal ka sa IF, kailangan mong kumain ng high-fat, high-protein but low-carbohydrate [foods]. So meat, seafood, and egg araw-araw para hindi ka madaling magutom. Noong ginawa ko ‘to, ako na lang din ang nagulat sa sarili ko na nakakayanan ko ng tumagal sa IF. 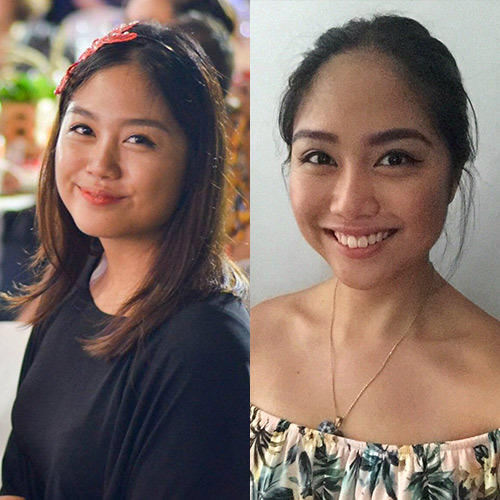 So far, ang pinakamatagal kong fasting is 50 hours na hindi nakakaramdam ng gutom. The reason I started IF was to join my husband who was struggling with diabetes and hypertension. I was pre-diabetic myself, so we started with IF last January 15, 2018. We love eating, so before, we used to eat more than five times a day and even eat heavy at night (with midnight snacks). With our new routine, we just eat within the eight-hour window every day, but we eat ANYTHING AND EVERYTHING WE WANT TO EAT. We started from 12:12 (12-hour eating window and 12-hour fasting), and now we have found our sweet spot at 8:16 (eight-hour eating window and 16-hour fasting). We usually eat breakfast at 10:00 a.m. and have our last meal before 6:00 p.m. Then for the fasting hours, I just drink water, black tea, or black coffee without sugar and milk. If we feel hungry and it is already past our eating window, we just drink plenty of water. We also have cheat days every two weeks. From my weight of 165 lbs. 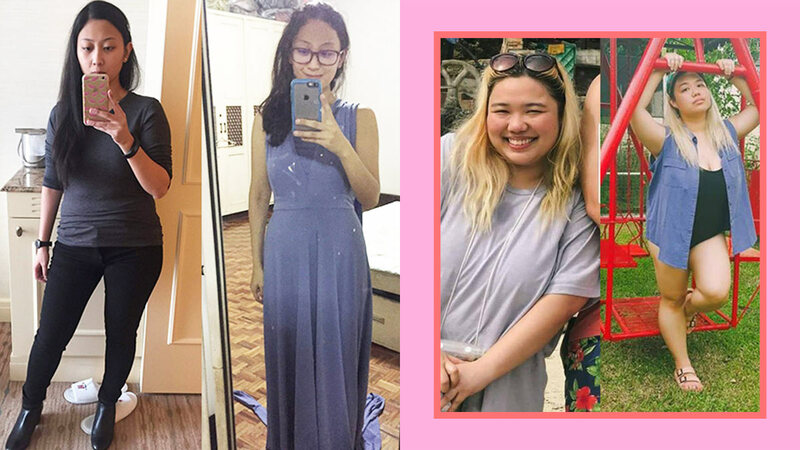 in January 2018, I dropped to 143 lbs. in six months. From a size 14, I am now down to size 10. My HbA1c [the test for your average level of blood sugar over the past two to three months] is normal at 5.7. My blood glucose (fasting blood sugar) before is ranging from 123 to 130, and now, it is consistently at the 100 to 110 range. It’s really hard at first, especially when you are used to eating on demand. 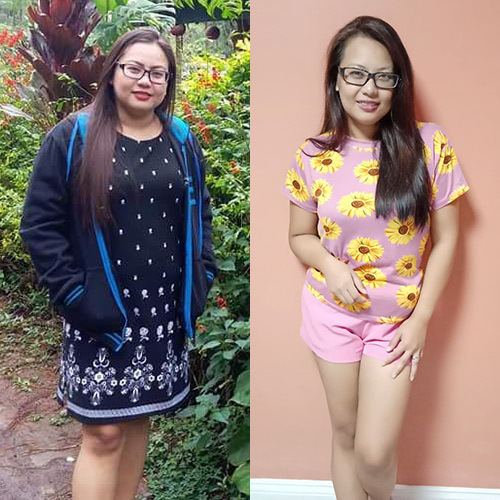 I have tried numerous slimming programs and different diets, but I will just bounce back to my old weight, and limiting myself to just certain food groups did not help. The first week of our IF was tough as we felt we were hungry always especially at night. But we just continued to do IF. What’s good with IF is that we were able to reverse diabetes. My husband now does not take insulin shots anymore after three months of IF. Our bodies now are generating insulin by itself and pumping sugar when we are starting to be hypoglycemic. 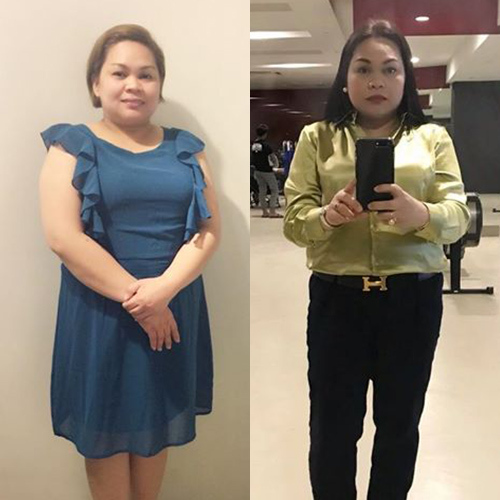 My weight loss is not drastic, and it did not make my skin flabby, loose, and dry like those who underwent bariatric surgery. IF is giving our body enough time to digest and utilize the food we eat. Of course, intermittent fasting isn’t for everyone. Several women I talked to shared how they tried IF and failed or gave up eventually. Even I tried it for a couple of weeks, but I wasn’t disciplined enough to stick to the time restrictions and to stay away from sweets. The legit “hanger” pangs didn’t help, too, especially when you’re expected to be at the top of your game at work and, you know, when you’re just trying to be normal around people. LOL! But IF is something you can look into when you’re stuck in a fitness rut. Consult your doctor if you can, and try it if you think it’s a lifestyle you can really commit to. Care to share your experiences with IF, too?